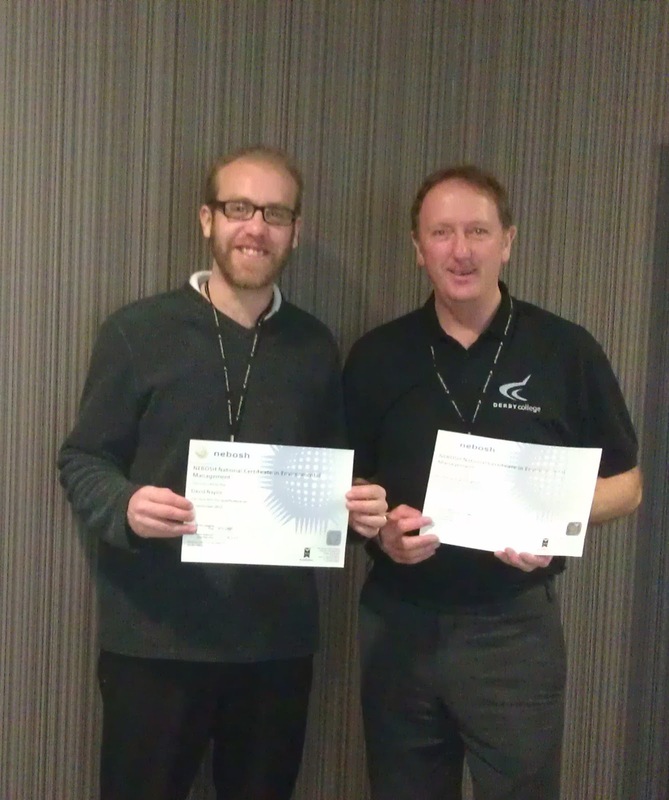 Andy Carrington and Dave Naylor of the GQA Approved Centre, Derby College, recently added to their already extensive list of skills with the achievement of the NEBOSH Level 4 Certificate in Environmental Management and Sustainability. Andy told GQA "the course was very intensive and covered all areas of pollution from land, air and water pollution, we also went into great detail on how we manage the removal of Nox and Sox within industry. We were taught how to carry out environmental risk assessment and how to apply current law and legislation.” With the 2 candidates being assessed through a combination of a written 2 hour examination and a workplace audit, achievement was not straightforward. Andy added “The benefits are substantial with the impact that the Green Deal will have on our industry, and the inclusion of sustainability within our assessments”. Congratulations to Andy and Dave from all at GQA.